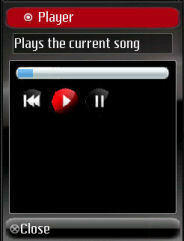 Once a song has been edited to contain one or more patterns, it can be played using the Song Player option. The progress bar shows the current relative position in the song. There is a play, rewind and pause button to control the playback.